Bed Bug Bites? Time to Call Island Pest Control. 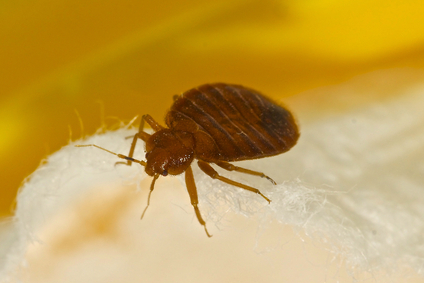 Bed bugs can quickly wreak havoc on your ability to get a good night’s sleep. If you end up getting bitten, it’s time to find a dependable Hilton Head bed bug exterminator to help you deal with an infestation. In the meantime, knowing how to handle bed bug bites can help lower your risk of having a serious reaction to them. Keep the following in mind when your home has these pests. Symptoms of bed bug bites typically include itching and redness where the bites occurred. You might have small bumps at these spots or flat welts that appear in groups or individually. You could also end up with complications, such as skin infections, if you scratch at these bites. Keep in mind that your symptoms can become more severe as you get more bed bug bites. In rare cases, more serious allergic reactions can occur in some people. If you’ve been bitten by bed bugs, placing a warm washcloth on the affected areas might help relieve the itching. You might also benefit from using nonprescription antihistamine cream or pills to relieve the itching. Bed bug bites should go away on their own in a couple of weeks. If you experience more severe symptoms, such as shortness of breath, dizziness, fever, trouble swallowing or chest pain, seek medical care right away. When you need a reliable Hilton Head bed bug exterminator to help you out, give Island Pest Control a call. We can help you eliminate bed bug infestations in your home, so you won’t have to worry about any more bites.